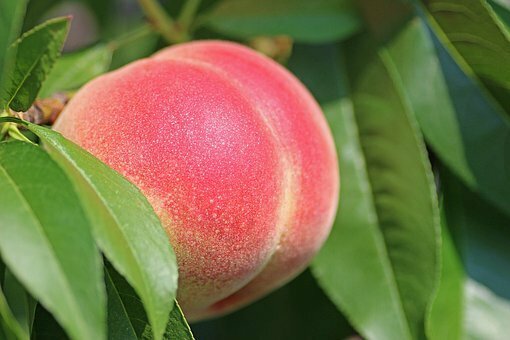 There is a nice cling peach, about four feet up. I pick it, and the smell of pollen strikes the senses as I bite in. I get a bucket along with the trusty wood cherry-picking ladder. My brother and sister and the uncles and aunts wait for my tree to enter year. It’s time to see how many good peaches the scrub jays have snacked on in the treetop. May be as I pick, I’ll snack on a few like those pesky birds. “Throw some down. Throw down some” I find a nice cling and throw it down. I pick one for myself. The sticky juice gets on my hands as I throw the fuzzy clings into the bucket- ker-plunk. I have about twenty to thirty nice large ones. The branch starts to bough under the bucket. Pesky bird. You can have all the tree back. My sister just needed some peaches. I find another fantastic snacking cling. Might as well get a good one off the treetop while I am up here. It is a sunny day. Have a peach.